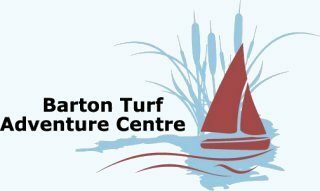 in conjunction with the Go Wild at Barton Turf event. It is free entry to watch and there is free parking on site. Closing time for entries is 1.00 pm on the day. • Worms may not be dug from the ground. Only vibrations to attract them to the surface may be used. • Any form of music may be used to charm the worms out of the earth. • A garden fork of normal type may be stuck into the ground and vibrated by any manual means to encourage worms to the surface. • A piece of wood, smooth or notched may be used to strike or ‘fiddle’ the handle of the garden fork to assist vibration. • No drugs to be used! Water is considered to be a stimulant and is limited to a maximum of 10 litres per plot. • Competitors should bring all their own equipment. They may leave his/her fork etc in an allocated plot on arrival. • The competitor who ‘charms’ the most worms to be the winner. • Teams may have a maximum of 6 members. At least one person, but no more than three, must be on the plot at all times.